If I were to give you a complete complex carbohydrates list would be a long one. The list it would include all fruits and vegetables. It would also include legumes, lentils and minimally processed grains. You could simplify it down and just say, “plant foods”. The complex carbohydrates definition tells us that these kinds of foods are primarily starches or fibers that are digested slowly and do not cause spikes in blood sugar levels. The individual food may include some simple sugars, such as the fructose found in yellow corn. Or it may include no simple sugars. About 30-40% of your daily caloric intake should come from this complex carbohydrates list. 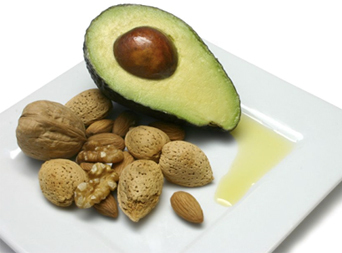 30% or less should come from healthy fats. 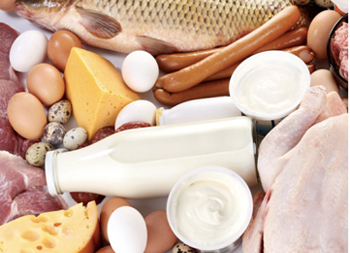 The rest of your calories should come from proteins. You can play with the protein and carb numbers. You might go for 35% of your calories from each or 40% from protein and 30% from carbs. A perfect balance may be ideal, but can be difficult to achieve depending on your food preferences. It’s also a good idea in your fitness goals to carb cycling where you have higher days and then lower days. This helps to shock your body and keep your metabolism fired up. Some foods are sources of both carbs and protein but the truth is they fit better into the complex carbohydrates list than the protein list. Beans, for example, are an excellent source of protein. They are nearly fat free and are also a source of carbs. Some of the carb calories come from fiber, which is important for digestive health and for many other reasons. As an example of the breakdown of the carb/protein/fiber content of beans, let’s look at black beans. Black beans provide 7.6 grams of protein, 20.4 grams of carbs and only .5 grams of fat per ½ cup serving. 7.5 of the carb grams are from fiber. The calorie count is 114. There are 4 calories in each carb or protein gram and 9 calories in each gram of fat. So, about 72% of the 114 calories come from carbs, 27% from protein and less than 4% from fat. This breakdown should give you an idea of why it is so important to eat a varied diet. Even though black beans would fall into the complex carbohydrates list and is a good food source, if they were the only things you had to eat, you would get too many calories from carbs, not enough from protein and notenough healthy fat. So, you might have a piece of salmon with your meal to up the protein and healthy fat content without adding more carbs. In recent complex carbohydrates news, we have learned that the potential health benefits may include a reduced risk of heart disease and certain kinds of cancer. 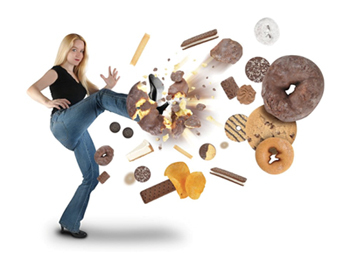 The simple sugars and processed foods that would be on a list of simple carbs, on the other hand, increase our risk of heart disease, type II diabetes, cancer, Alzheimer’s and inflammatory conditions like arthritis. The problem that many people have with choosing complex carbohydrates foods is that they think breads are sources of whole grains. This is mainly a labeling and advertising issue. Breads, both wheat and white, have been shown to cause an increase in blood sugar levels similar to that of glucose. This is why I almost always eat Ezekiel Sprouted Grain as my bread source. Whole grains are actually things like oatmeal and brown rice. They “look” like grains. In general, cooking reduces the complex nature of carb-rich foods. The cooking process takes some of the digestive effort out of the equation. We can’t eat raw grains, but we can limit the amount of flour-based products we consume. and you might add more time to your life.